September 10, 1975, N. E. Woodley. 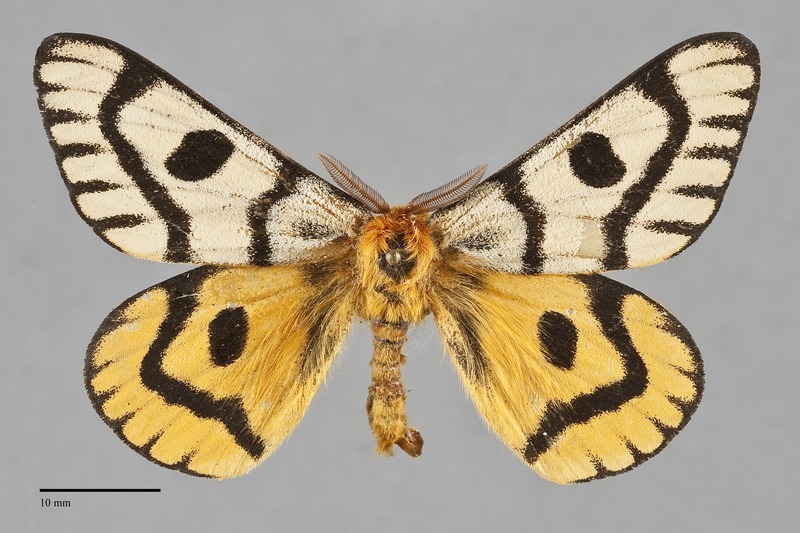 Hemileuca nuttalli, Nuttall's Sheep Moth, is a very large (FW length 31–33 mm; wingspan 6.0–6.5 cm) day-flying moth with black lines and spots on white to pale yellow forewings and bright yellow hindwings that flies in steppe and open forests during late summer and fall. 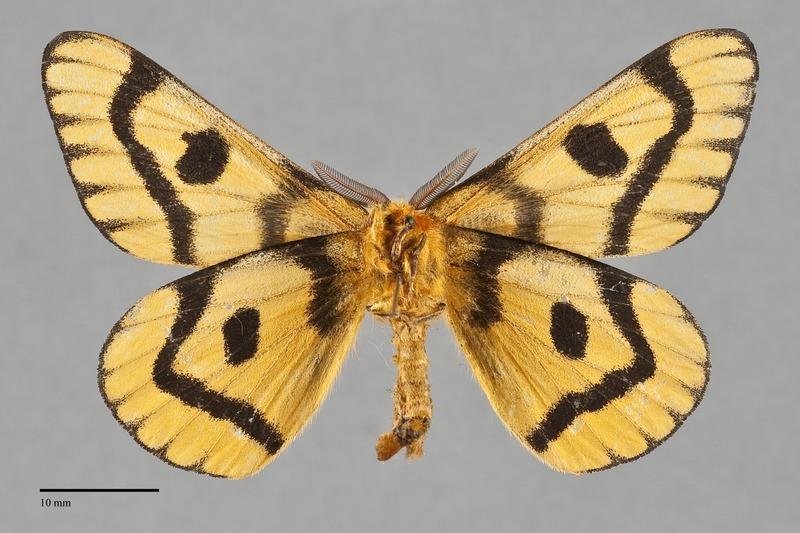 Its pattern is similar to that of Hemileuca hera, with smooth thick transverse lines, black veins near the wing margin, black wing edges, and very large discal spots on both wings. The body is yellow. The antennae are bipectinate, much wider in males than in females. This is our only Hemileuca with white to pale yellow forewings and yellow hindwings without hints of orange or purple. 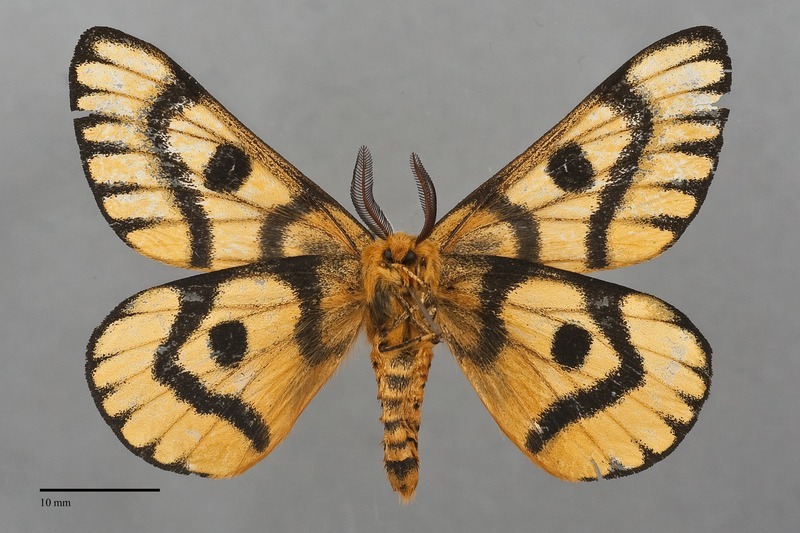 Hemileuca hera, which is similar otherwise, has white hindwings. Hemileuca eglanterina is also similar but tends to be more heavily marked with orange. The shape of the hindwing postmedial line differs between the latter two species. That of H. nuttalli is inwardly concave below the cell whereas that of H. eglanterina is outwardly convex. The synonym Pseudohazis washingtonensis Medlar is described from Brewster, Washington. The larva has short orange spiny scoli or tubercles and is black with white lateral slashes. It is illustrated by Tuskes et al. (1996). This species is widely distributed in juniper woodlands and upper sagebrush rangelands at low to middle elevations east of the Cascades. It may be locally common at times. Hemileuca nuttalli is found east of the Cascade Range summit throughout most of our region as far north as southern British Columbia. Idaho records are limited to the area south of the central mountains. 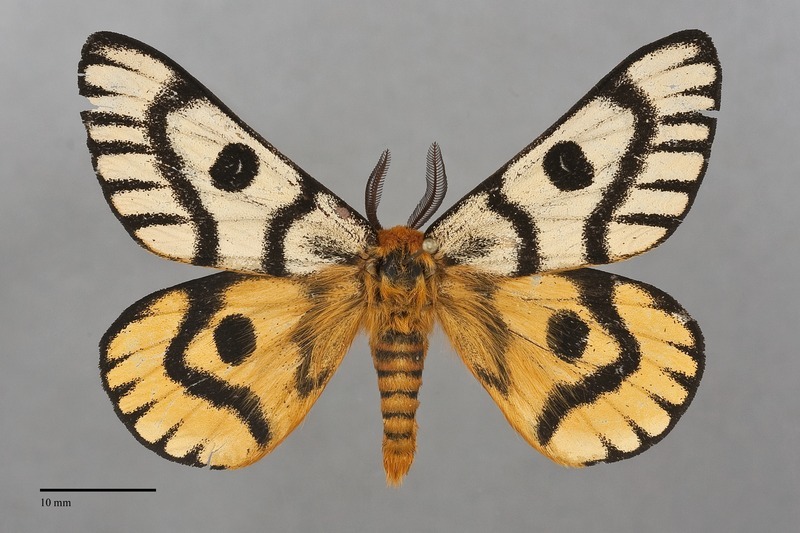 Hemileuca nuttalli occurs in the Rocky Mountains and Intermountain Region from British Columbia to northern New Mexico, northern Arizona, and southeastern California. It appears to be absent from central Nevada. This species feeds primarily on bitterbrush (Purshia tridentata) in the Rosaceae, but has also been found feeding on snowberry (Symphoricarpos spp.) in the Caprifoliaceae and currants (Ribes spp.) in the Grossulariaceae. 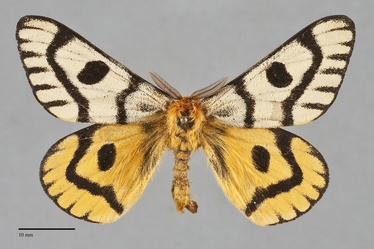 Adults of H. nuttalli are diurnal and do not feed similar to other Hemileuca species. They have been found from late July to mid-September in the Pacific Northwest. Males fly rapidly while searching for females and are fairly difficult to catch on the wing.